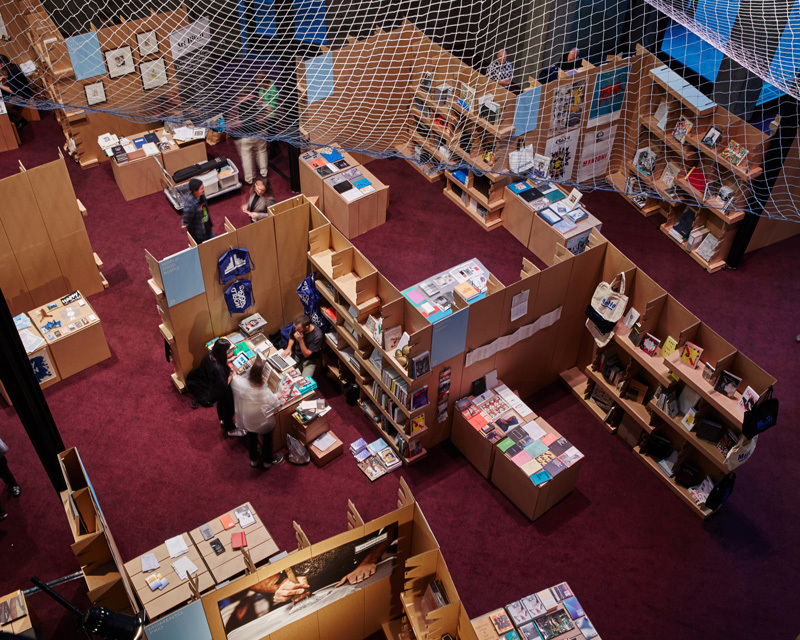 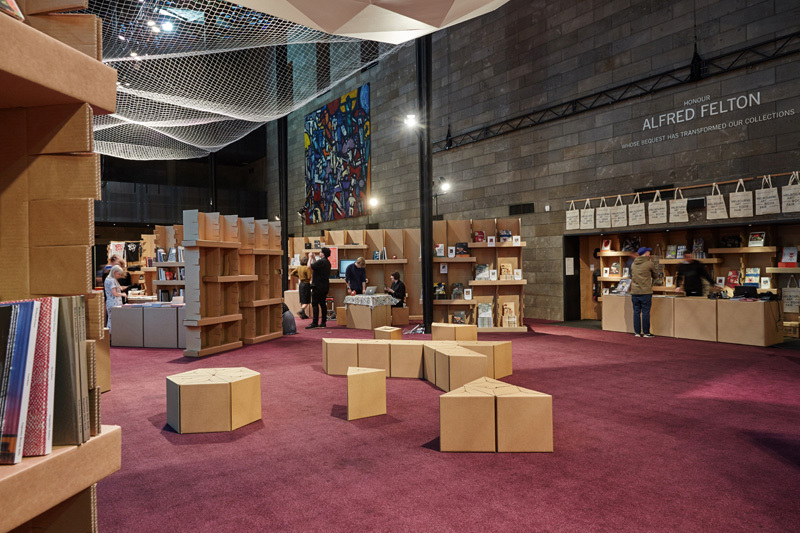 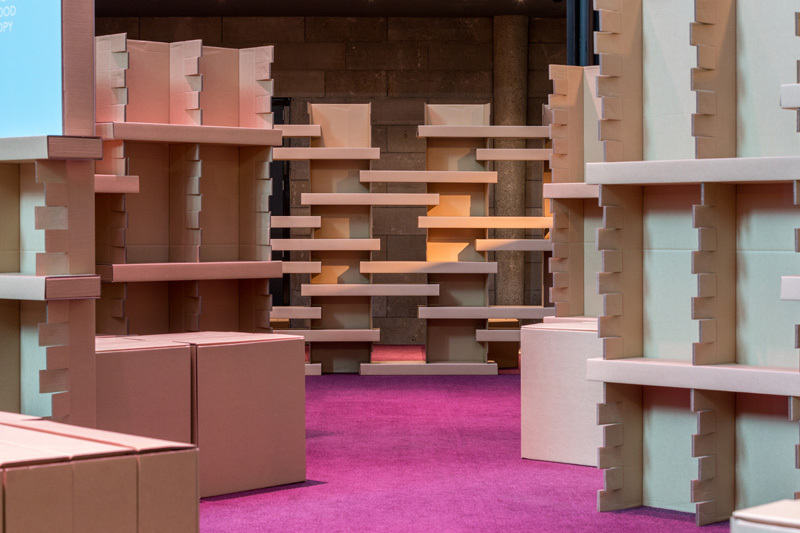 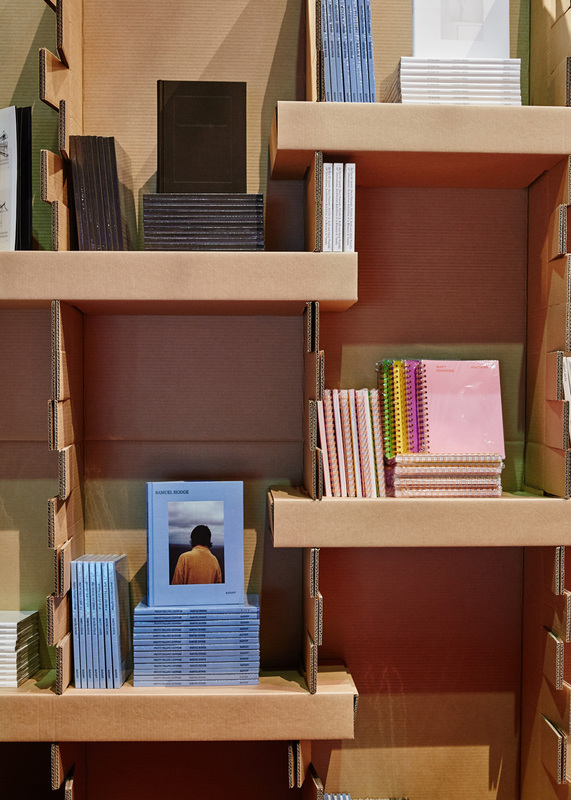 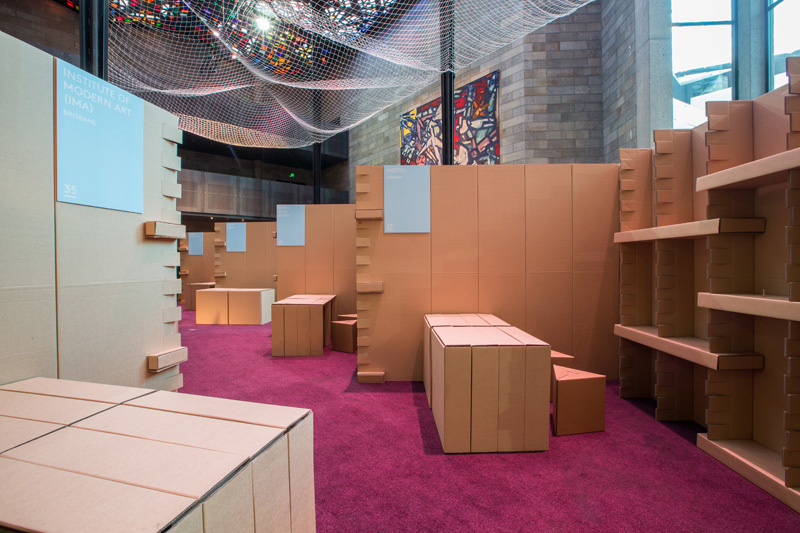 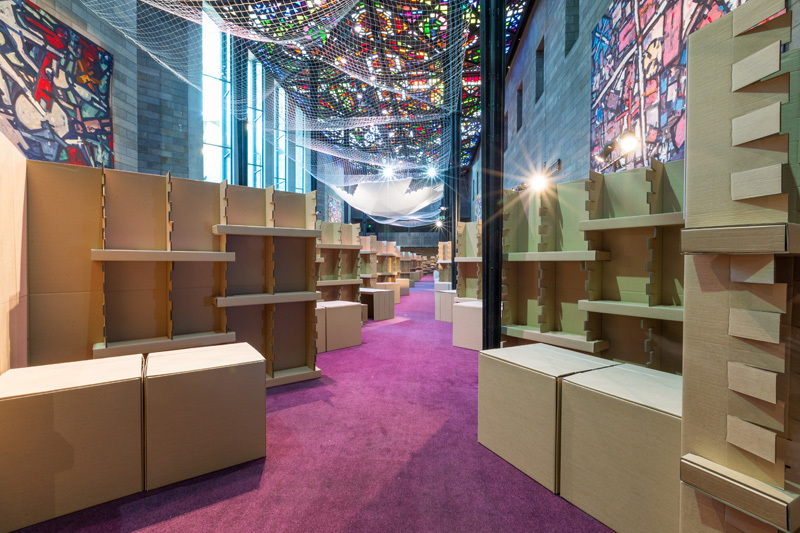 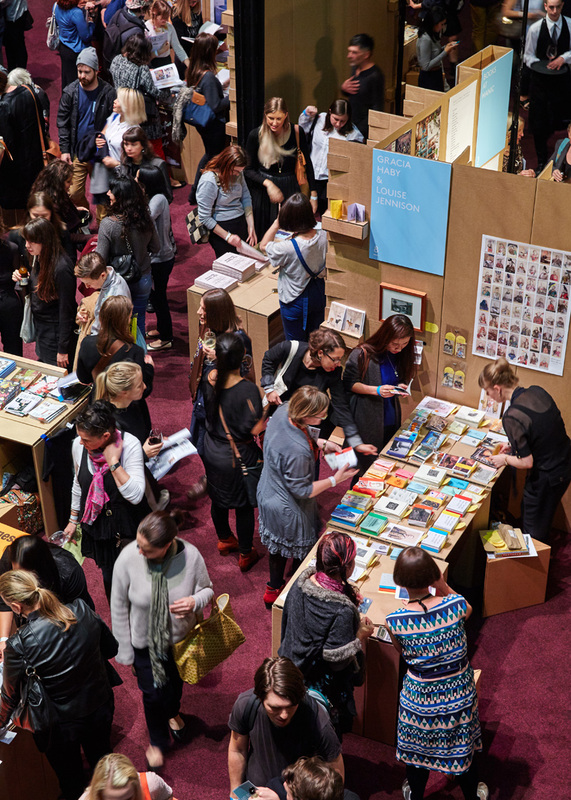 The inaugural Melbourne Art Book Fair was built from recyclable cardboard and reusable netting. 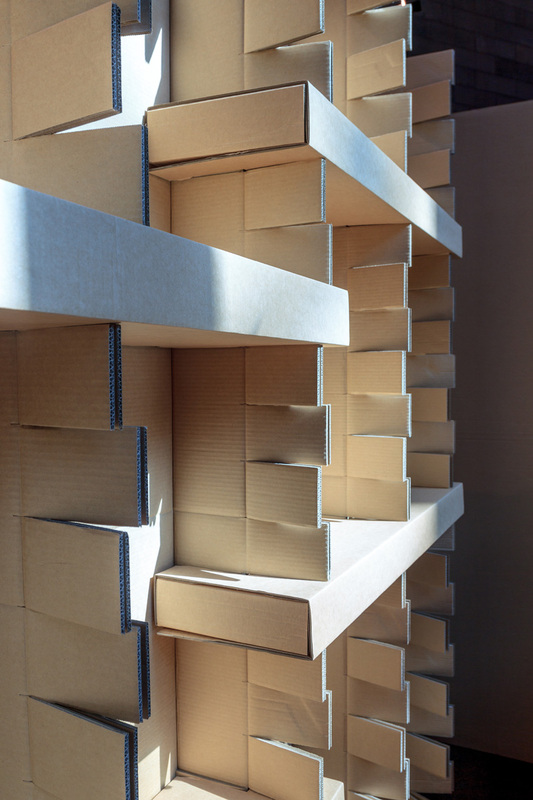 It arrived flat-packed and was assembled without the use of power tools. 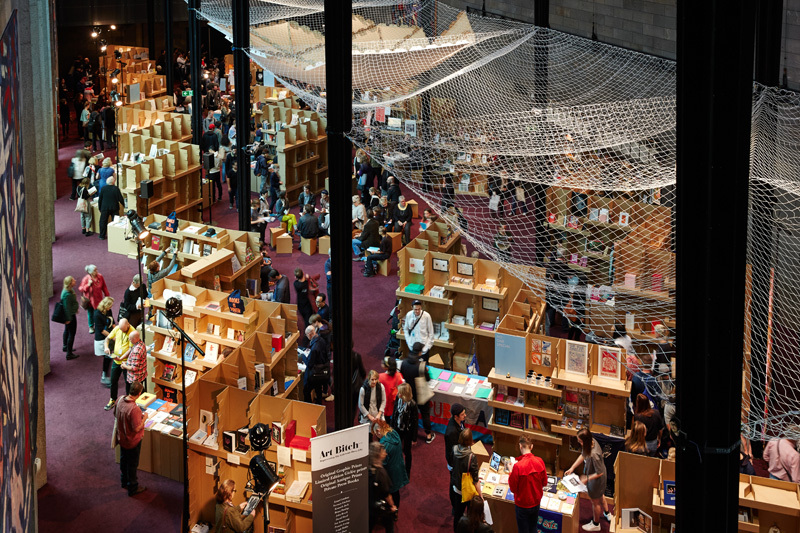 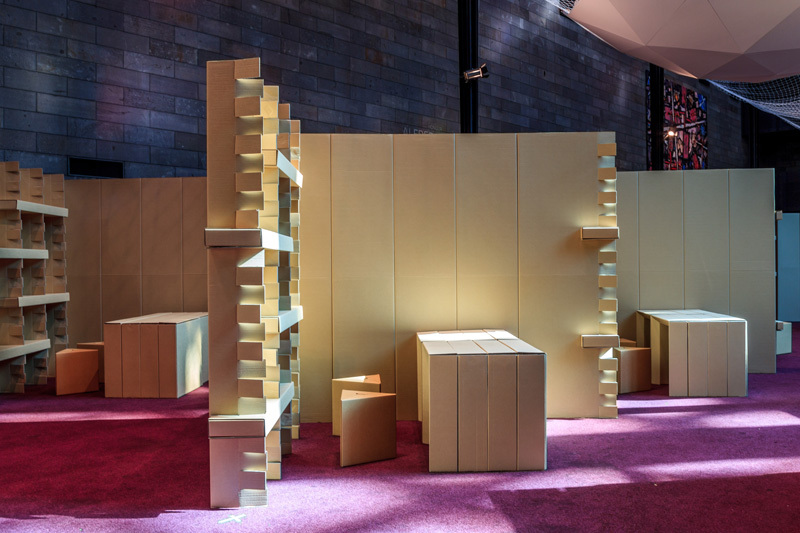 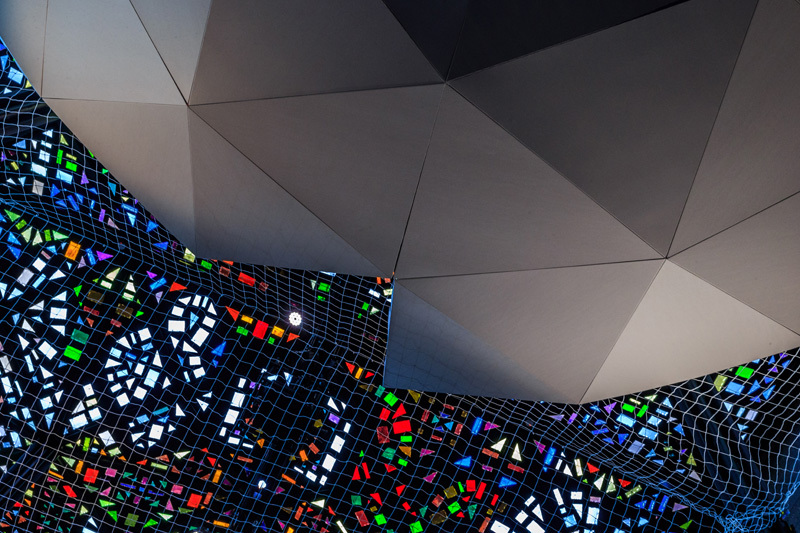 The event was held over three days in the Great Hall at the National Gallery of Victoria (NGV), and the exhibitors were invited to take their stand away with them at the end. 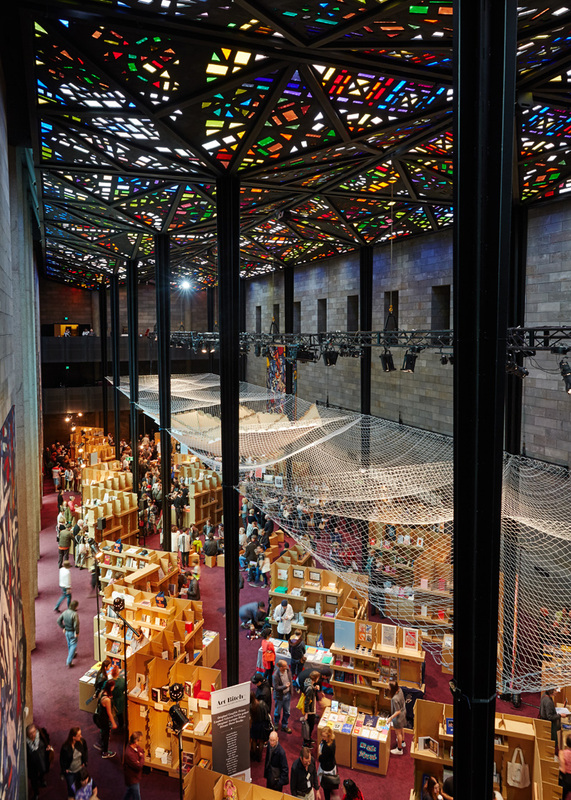 Any remaining cardboard was recycled, and the netting returned to the sports netting supplier for reuse. 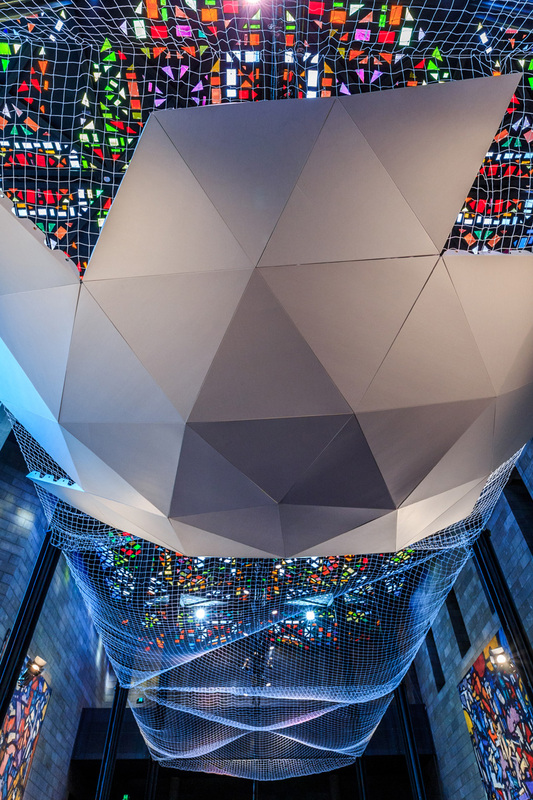 The entire construction was assembled without glue or other permanent fixings, so it could be easily demounted without waste. 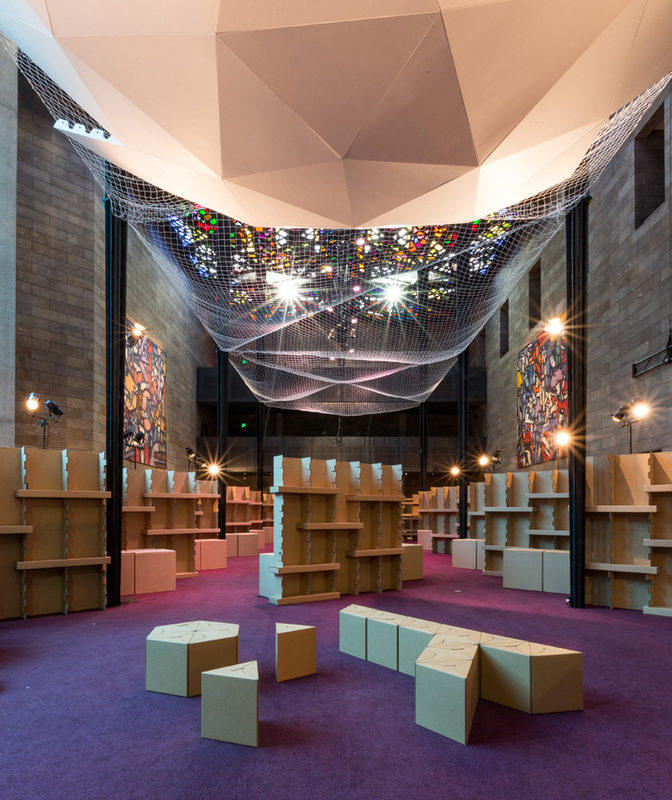 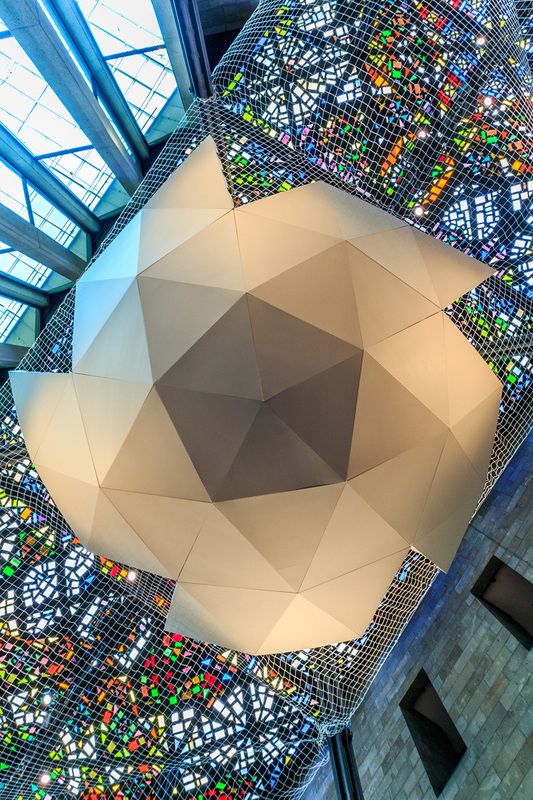 The upside-down dome was connected to the netting by slotted ‘hooks’ in the cardboard, and additional connections were made by bulldog clips that were returned to NGV stationary cupboard after the event.